This Maje LACY gathered silk top is trimmed with contrasting braid and features a round neckline and long gathered sleeves. 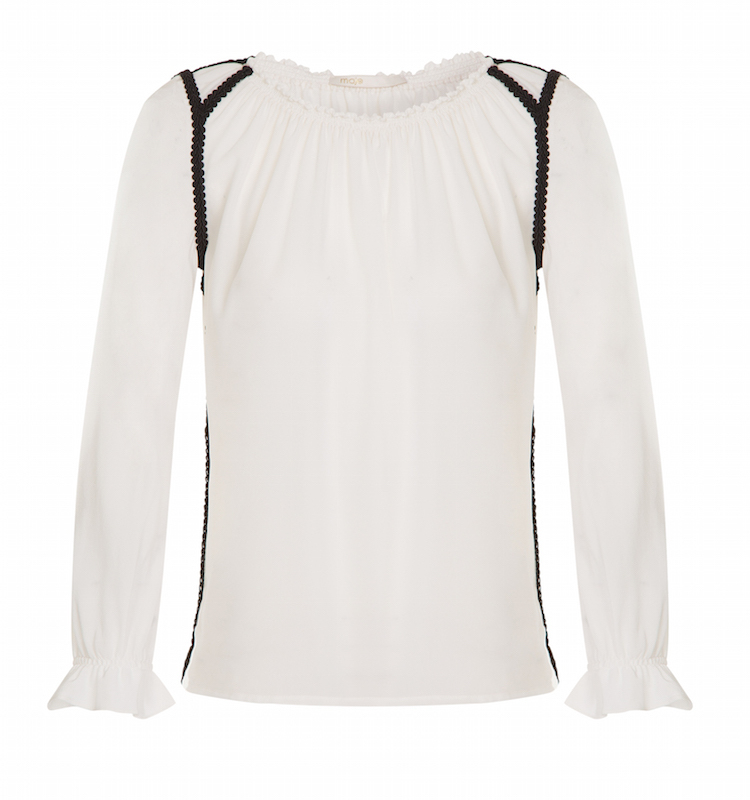 With its loose cut and lightweight feel, this top will add a dressy touch to all your outfits. Wear it with shorts or jeans.